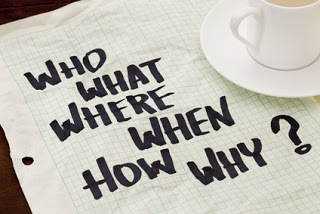 Lynn Palermo of the Armchair Genealogist invites you to take the Family History Writing Challenge: 28 Days of Motivation, Education and Tools. It's a 28-day commitment to writing your family history and you can read all the details, including how to sign up, here! In February 2013, AnceStories’ Scanfest will be Six Years Old! Miriam Robbins organizes and hosts this popular monthly event that welcomes anyone with a stack of scanning and a few hours to spend chatting with other family historians. Scanning can be a boring task, but Scanfest actually makes it fun! Make the most of your scanning time with these tips to help you get the most from your scanning equipment and make the best use of your scanning hours. Guest Post by Denise May Levenick, The Family Curator, author of How to Archive Family Keepsakes (Family Tree Books, 2012). Are you getting the best possible results when you digitize family photos and documents? Check your scanning savvy with these 6 Tips for Scanning Success. Yep, sounds pretty basic but it’s easy to forget. Old photos and documents are often dirty and may even lose bits of paper when handled. Use a microfiber cloth (used for eyeglasses or computer screens) to clean smudges and dirt from the glass of your flat bed scanner. For tough jobs, lightly wet the cloth – not the glass – then wipe the glass firmly with the damp cloth. Equipment does make a difference in the end result. Your keepsake originals should only be digitized with a flat-bed scanner or digital camera. DO NOT run heirlooms through a sheet-fed scanner where they could be mangled and torn. Wand scanners are fine for books and pristine documents, but less direct handling is safer for old paper. Oversize documents can be difficult to manipulate for on an 11 x 14-inch flat bed scanner; minimize the potential for damage by using a digital camera mounted on a copy stand or tripod. Make use of every minute by keeping your equipment ready to go. If you have space, set up a Scan Station near your computer on a file cabinet or table. Keep your scanner connected to your computer with an external hard drive ready for file storage. Use two trays or boxes to organize your work: To Be Scanned, Scanned. Don’t file away the originals until you have added filenames and tags in your photo organizing software. Save time and be more efficient by breaking your scanning into two work sessions: In session one, complete the actual scans; in session two, finish the computer work: add file names; write metadata -- captions from the back of photos, tags with people, places, events, copyright info; and place originals in archival storage. Scanning hundreds of old photos, letters and documents can be a time-consuming task. 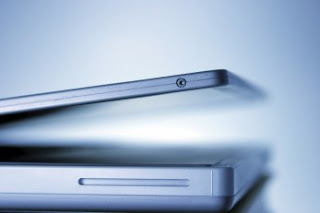 Join an online scanning party and watch your To Be Scanned pile dwindle down to nothing. Check AnceStories for Scanfest, hosted by Miriam Robbins at the AnceStories website, and 4YourFamilyStory for Sunday ScanDay on FaceBook hosted by Caroline Pointer. Most scanners come pre-configured for easy scanning. You don’t have to do anything after hitting the Scan button. But if you want access to some of the best features of your flat-bed scanner, you’ll need to unlock the Professional Menu. Look around on your scanner for a drop-down with more options, or check out the manual. You may have Auto, Home, and Professional modes (on Epson), or some other configuration. When you get to the Pro Menu, you will be able to set the best resolution for your project, choose mode, target size, and unlock color correction and descreening features. If you aren’t sure what all those options can do, refer to the manual or the handy Scanning Guide in my book, How to Archive Family Keepsakes (chapter 9). For most purposes, you only need to work with resolution (or DPI) and select Photo or Document. If you wish, you can check Color Restoration to automatically restore faded 1970’s color prints, or Descreening to get better images of newspaper articles. 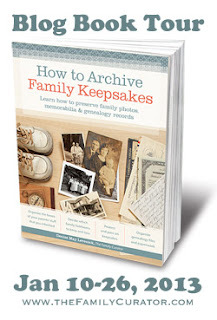 Guest Post by Denise May Levenick, author of How to Archive Family Keepsakes: Learn How to Preserve Family Photos, Memorabilia & Genealogy Records by Denise May Levenick (Family Tree Books, 2012). Copyright, 2012, Denise May Levenick. All Rights Reserved. www.thefamilycurator.com. Paperback / eBook Family Tree Books, Amazon.com, Scribd, iBooks, Barnes&Noble.com. 10% Savings Coupon ShopFamilyTree. Join the Blog Book Tour for How to Archive Family Keepsakes January 10-26, 2013 for author interviews, book excerpts, giveaways, and more. Visit the Blog Book Tour Page at The Family Curator website for the complete schedule. The January 2013 Scanfest will take place here at AnceStories this coming Sunday, January 27th, from 11 AM to 2 PM, Pacific Standard Time. Today is my seventh blogiversary. 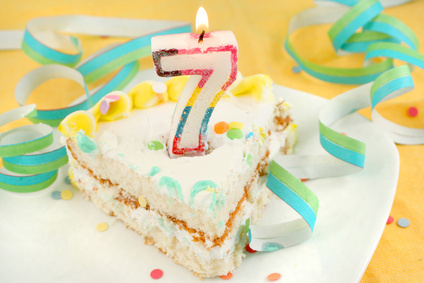 It's hard to believe it's been seven years since I started blogging. As always, I appreciate my readers, especially the ones who have hung in there the past three years when my posting has decreased significantly. I enjoy the group of Scanfesters that come back month after month (or even every other month, when I have to postpone one!). Blogging takes time, because composing, researching, and checking my facts takes time. The physical act of writing also takes time, as well as the editing and revising process. Time has been one commodity that has especially been short in my life the past three years. This year, I've already been busy with ProGen, and I hope to post a bit about it, to keep you updated with my progress. Thank you, once again, from the bottom of my heart, for supporting and encouraging me, and for taking the time to read and comment. It means so very much to me!